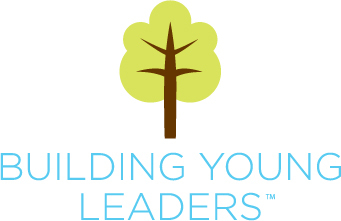 Building Young Leaders is an education enrichment center that strives to teach leadership skills through interest-based classes in an environment where protecting children's hearts and upholding family values is always the priority. We believe that every child has intrinsic value, and we strive to treat every family as important members of our growing family. We understand that every child is unique, with unique learning style, interests, and mission in life. We offer classes that help children develop their talents and gifts and help them see the importance of using these as they grow up, both in building up their own families and inspiring our community. We believe children learn most effectively when they enjoy what they are learning. We strive to create class curricula and projects that are fun, interesting, and keep the 'why' in your child's education. We hope to capture your child's natural curiosity and help them nurture it. Building Young Leaders is all about enriching the lives of children and inspiring them to want to learn about anything and everything in our wonderful world! Your child's safety is our top priority. We have a child safety plan in place which includes our child drop off and pick-up plan, our restroom policy, and our teacher and peer interactions. We teach the children to show respect to themselves, their teacher, each other, and our facility. We know that teaching is much farther-reaching than the time spent in classes. No matter where our teachers are or what we are doing in our community, our students watch us. We strive to be true teachers, modeling excellence in everything we do even outside of the Building Young Leaders Education Center. Our teachers are exceptional individuals that parents can count on to be great examples to their children. Swearing and crude language is considered unacceptable behavior for BYL instructors, regardless of whether they are in class or out of it. Also, the content taught and promoted within our classes is never sexually suggestive and we encourage parents to immediately address any concerns to the contrary. As we weave our leadership curriculum throughout each of our classes, we hope to help build up leaders who are confident, capable, and excited about the world around them. Our children are our future, and we as a community of families, parents, and teachers must prepare them in every way possible. We are honored that you have chosen to let us be a part of your child's journey, and we will do all we can to support your role as parents in raising strong, confident Young Leaders.